1x PREMIUM BAG from Kipling Malaysia given out every day during contest period. Visit Kipling Pre-Holiday Celebration Promotion from 13th-19th August 2012 at North Void, Mid Valley Megamall, and POSE Stylishly with Kipling's signature MONKEY! 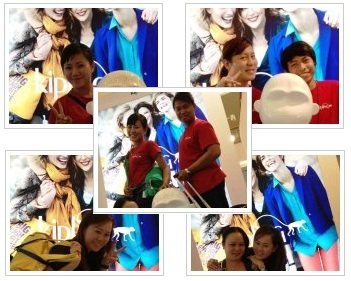 Upload your picture to Kipling Facebook Page and message Kipling Malaysia your Full Name, IC No., Contact No. and home address for Monkey Mania Photoshoot Competition. Visit Monkey Mania Photoshoot Competition page for more details.